Discussion in 'Online Games - News and Reviews' started by Marina, Jun 5, 2018. MegaWays gaming feature. Blueprint Gaming, part of the Gauselmann Group, will use the MegaWays mechanic to design and develop its own proprietary games. The highly popular MegaWays feature first appeared in BTG’s Dragon Born online slot a couple of years ago, and was last used in its most recent roll-out, Extra Chilli slot. 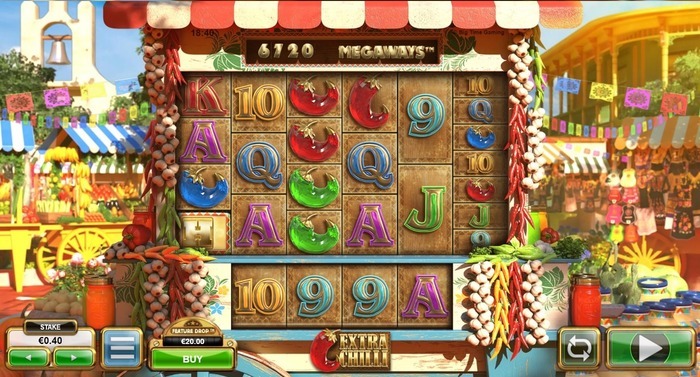 Players are attracted to the MegaWays mechanic, a random reel modifier system which essentially allows any random spin to produce a different number of symbols on the reels. As such, players get to experience a different game on practically every spin, adding excitement and stimulation to their gaming sessions. The success of this feature can be seen in the popularity of Big Time Gaming titles such as White Rabbit slot, Bonanza slot and the new Extra Chilli slot. releases such as Extra Chilli slot and White Rabbit Slot. He said that a big part of this success is down to the “out and out innovations” that the company has developed in recent years. “We are thrilled to have gained access to MegaWays and can’t wait to begin incorporating it in the next wave of games release,” he said. Also commenting was the chief executive officer of Big Time Gaming, Nik Robinson. deal of interest from other leading suppliers in the online gambling field who want to upgrade their offering with MegaWays. “MegaWays is a very successful mechanic and we believe it will eventually dwarf the standard 5 x 3 format of recent years,” said the BTG CEO. and he believed that the partnership would lay the foundation for similar deals in the future. Blueprint Gaming is a subsidiary of the German Gauselmann Group and is a top game studio based in the UK. Its games are available in over 100,000 land based gaming terminals in Germany, Italy and the UK. Big Time Gaming, a leader in online slot games, provides some of the world’s most popular online casino operators with content through its OMNI range. Networks partners include Microgaming Quickfire, OpenBet and Leander. That's good news because i love all kind of Megaways Slots specially from software BigtimeGaming.